Congratulations to those who have made it to the middle of the week. I have something super pretty for you today. 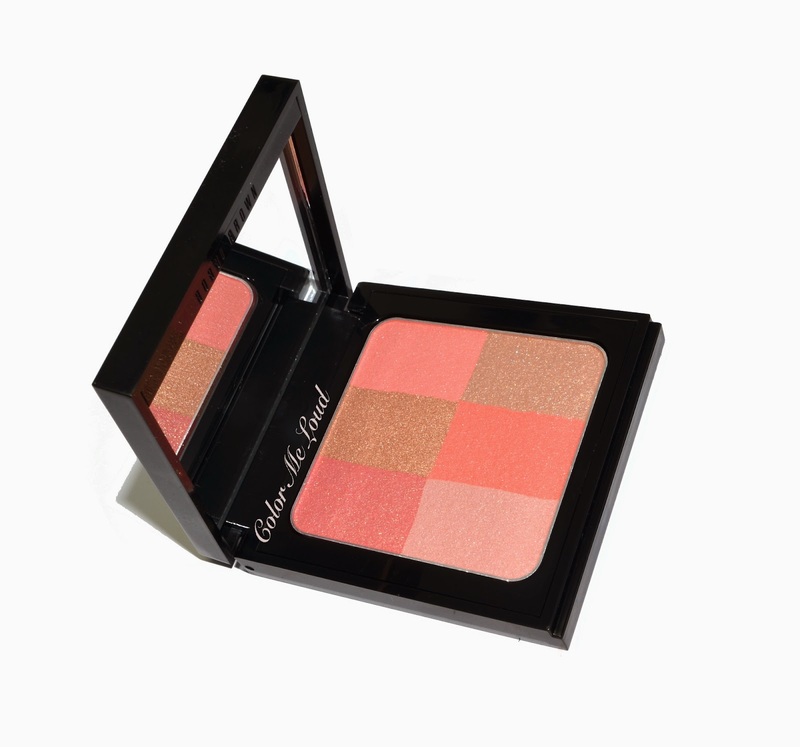 Bobbi Brown recently released Brightening Bricks in six colors. 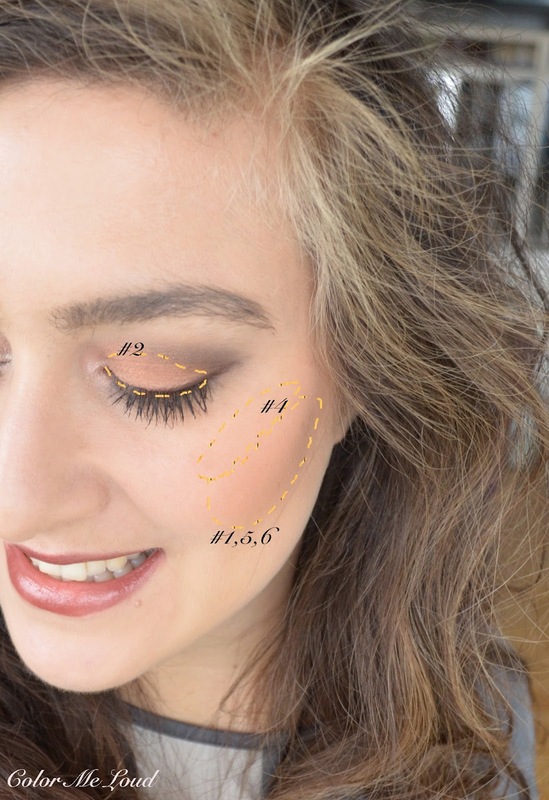 Those are multi-purpose cheek and face products to use as a blusher, bronzer, highlighter or anything else you see fit. They are very different than Bobbi Brown Shimmering Bricks, the shimmer in those are understated but super pretty. Against all the odds, #2 Coral stole my heart, today it is all about it. The compact is made of a sturdy plastic and feels heavy and luxurious. Also thumbs up for the magnetic closure, which I think nowadays more luxury brands should embrace. I started finding click closure fitting more to low to mid price range products. There is no brush included in the compact, which doesn't bother me because I prefer having more space for the product instead of a brush I would never use. 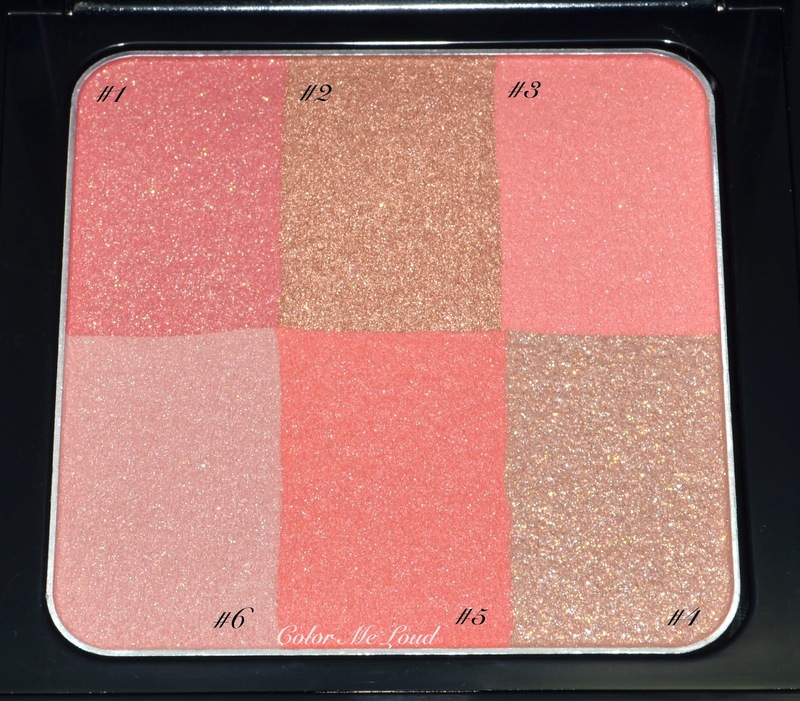 The compact has 0.23 OZ/6.6 g of product which is a generous amount compared to most of the blushes in the market. Although #2 is called Coral, there are very pretty neutral pinks in it. 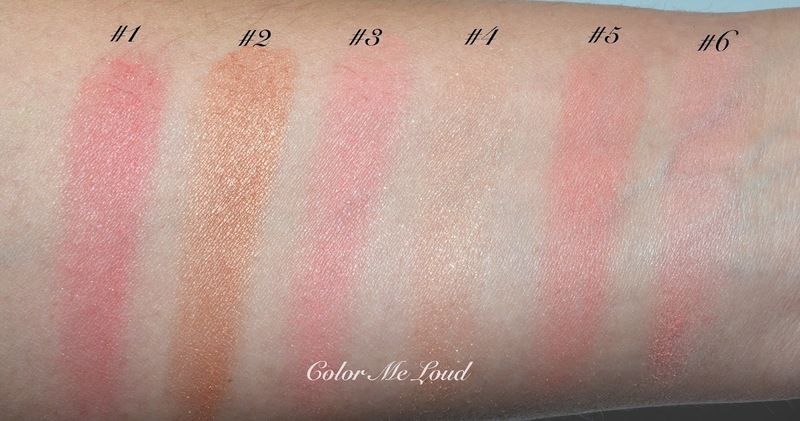 Once they are all swirled together, the resulting shade is more of a terracotta, orangy coral because of the mid-toned copper shade (#2) which is more pigmented than the other shades. If you swirl your brush on the top row, you can use these shades as a soft shimmery bronzer. Bottom row is more coral, less pink with a very sheer highlighter (#4) thrown in. #1 and #2 are most pigmented, #4 and #6 are most sheer. #4 has some shimmering particles which you can keep away easily if you want less of those. I usually use small cheek brushes and apply my blush with circular motion slowly building up. The pan is large enough so that my brushes can easily pick up individual shades but if you are used to larger brushes, you might end up touching 2-3 shades at once. Here is the resulting shade if you swirl your brush on all the shades. I believe this shade will be especially pretty after getting a bit of tan. At the moment I am very pale so while applying this, I went over it with one of the pink shade to make it matching more to my skin tone. 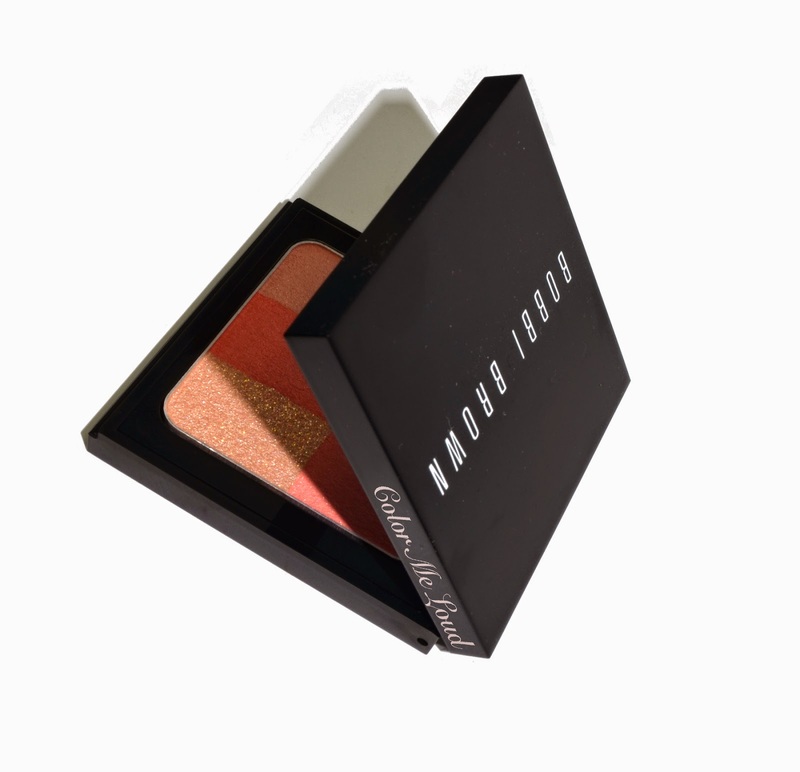 The good thing about these blushes is that you can customize it by applying a bit more shimmer, a bit more pink by using a smaller cheek brush. 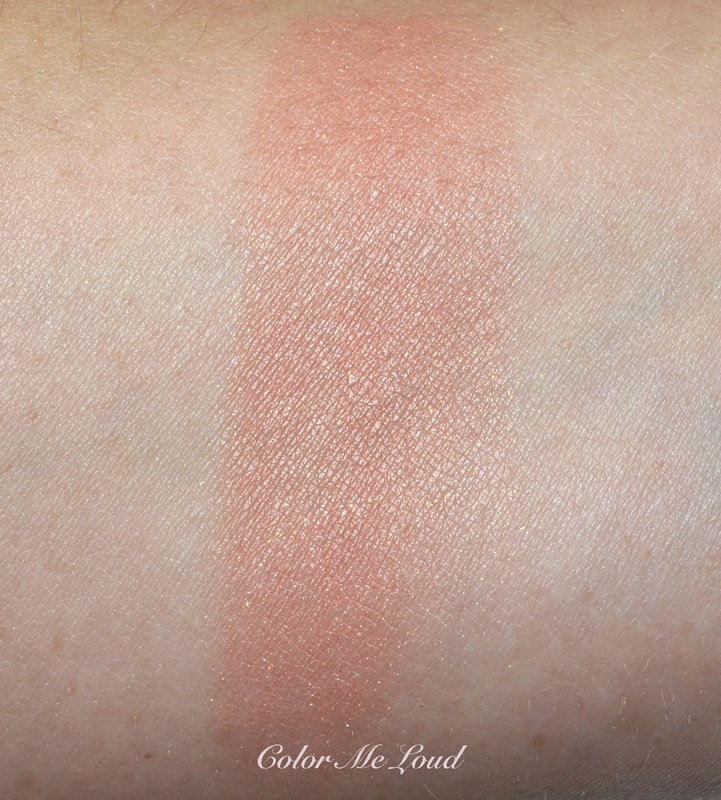 While I was swatching Bobbi Brown Brightening Brick #2 Coral, I was very surprised with how pigmented shade #2 was. This shade is also not too pink so I decided to give it a go and apply it on my eyes. 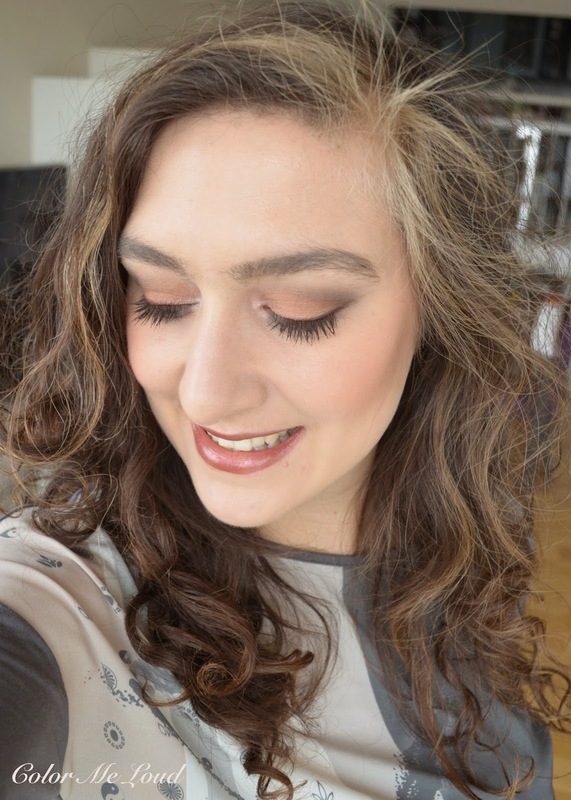 I added a touch of MAC Brun on the crease, highlighter and mascara. I have then swirled my brush across #1,#5 and #6 and applied it on my cheeks. I have also added a touch of #4 as a highlight as marked below. Final thoughts: I love the concept and the resulting product alike. Shimmering Bricks were lovely as highlighters but a bit too shimmery to use elsewhere. Brightening Bricks offer numerous possibilities of application and can be tuned for different occasions and lip colors. I am definitely going to check them out once they are on counters. I am eyeing Tawny or Pink. Availability: Bobbi Brown Brightening Bricks are already released in most of the countries. The official release date in Germany is February but I haven't seen them in store nor online yet. They should be available any time now. I have also noticed only four shades (Pastel Peach and Tawny are missing) are released in North America but some countries get six. What do you think about the concept or split pan blusher/highlighter? Disclaimer: The product in this post is sent free of charge for my consideration. I am not paid for this review. All opinions are honest and solely my own. OOO so I received Pastel Peach yesterday, but now I really want this one LOL Got to photograph and play with it soon, although it doesn't seem nearly as pigmented as Coral! It's super pretty on you! it looks lovely on pictures, I like all the colours in it. And you created an amazing look, I love how you used that bronze color also on your eyes! It looks especially lovely on the eyes, too! I've seen promo images of this line and I just want every single color. Haha. LOL I was like this too, give me all!! I have played with them at the counter today though, some of them are very close. Cranberry is so pretty, ugh, wished I had selected that one! I don't know! I don't have this particular palette, but I have some old Chanel and Dior palettes that combine different shades of bronzer, highlighter and blusher, that are supposed to be worn separately OR all together, whatever I do it just doesn't look right on me! Wow this looks lovely on you! I actually might like this better than the shimmer bricks since it's less shimmery and looks more natural on the skin. Hi Sara, thanks for this in depth post! I had avoided this like the plague as I really didn't care for the shimmering bricks... It was giving me a big mental block and I just couldn't get it that this is supposed to be a multi-blush palette! Now I'm intrigued! Yes the light reflecting properties of the new Bricks are truly beautiful. It is illuminating but not in a harsh way, love them. same here, never went for Shimmering ones but these are so different. Some are though rather multi highlight palette, so if you want the blush features, you should go for Cranberry or Coral. Tawny Pink also gives a nice pink glow on the cheeks. I love how it looks on you and it looks great on your eyes too! I'm always curious about your eyelashes, does your mascara make them so long or you wear extensions... I don't mean to pry! I don't have extension but I use a lash serum for the last 3-4 months. I didn't notice any growth though but maybe with mascara it looks a bit longer than usual. 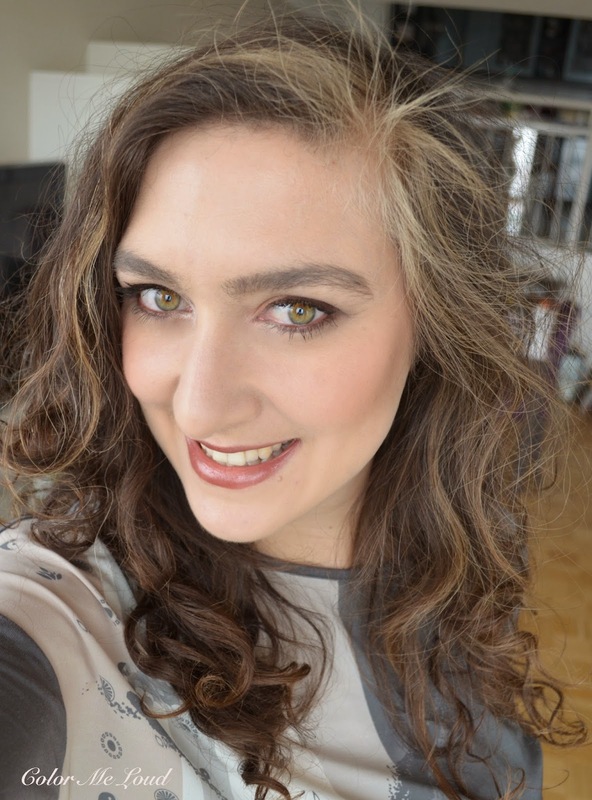 You can check some eye make-up from July-August last year, that was the length of my original lashes. I already had long and defined lashes to start with. I sometimes forget mascara in the morning lol. Yes I am looking at the Pink now too. An SA put it on me yesterday and it looked awesome. Have to go back and see if I can duplicate the look. It's hard to see how such a subtle palette could have such a brightening effect. Bitter Sweet looks awesome! How did I miss this one? !